Color can lift your mood, so why design your home in neutrals? 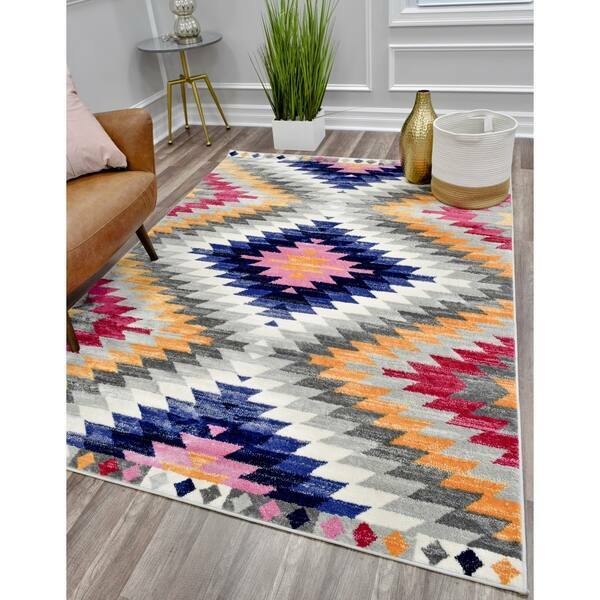 Accessories like the Roland area rug use the power of vivid color to make a striking statement. Boasting an alluring geometric motif and a touch of vintage style, this soft-touch polypropylene piece can brighten up any room with its varied palette of hues. Get out of your neutral rut with the Roland area rug.